Several years ago I decided that my family needed to eat better. After quite a bit of research, I determined that it would be best to start with small changes. My first step was to replace our all-purpose flour with whole grains. What is Blender Batter Baking? Blender Batter Baking is a method of baking promoted by Sue Gregg. While the name Sue Gregg was familiar to me, I really didn't know much about her cookbooks other than they were health related. To be honest, I have no idea when I first heard the name, but it was many, many years ago, well before I decided to my family needed to eat better. In fact, it was probably before I even had a husband and kids; SueGreggCookbooks has been publishing since 1977! I'll get to the Blender Batter Baking in a moment, but first I wanted to explain the content of the cookbooks. These cookbooks do not contain just recipes, they contain a ton of information on the hows and whys of healthy eating. While I already had a head start on some of the basics, there was plenty of clarifying and new information to me. In fact, of the two cookbooks I received, An Introduction to Whole Grain Baking and Breakfasts, the first 80 and 50 pages respectively are devoted to information only. The cookbooks cover basic baking information, general nutrition, and the differences in ingredients, such as fats, sweeteners, grains and allergy alternatives. Blender Batter Baking is a 2-stage process that increases the nutritional value of using whole grains in your baking. Rather than me explain the whole process, you can read more about the hows and whys of Blender Batter Baking here. The biggest advantage to this method, other than increased nutrition, is it allows someone who can't make the investment of a grain mill to give whole grains a try. Secondly, I found it incredibly easy soaking the grains in the blender. It made a warm breakfast of waffles in the morning a very quick process. This cookbook will give you all the hows and whys to get you started to bake with the two-stage process of Blender Batter Baking. Twelve quick bread recipes and 18 yeast bread recipes are included, along with a CD that gives a detailed photo demonstration of the recipes. It also serves as a text for Sue Gregg's high school curriculum, Baking with Whole grains. Breakfasts includes More Blender Batter Baking and breakfast recipes for such as smoothies, omelets, muffins, and fruit toppings. Other topics include yogurt making, a variety of nutritional information, and milk and grain allergy alternatives. Out of all the recipes I tried, I had a couple that have become regulars, several more as thumbs up, and only one complete flop. One thing I really appreciated was the variation suggestions in the recipes. Not only does this allow to accommodate various allergies, but it gives opportunity to vary your family's diet with one standard recipe. The Blender Waffle and Pancake recipe was one that I had the most fun trying out with all the different options. In the process, I found a new grain to add to my baking, Kamut. Part of the problem when first exploring whole grains is I wasn't always sure how to use different grains. As a result, I tended to stick with the basic wheat varieties. With Sue Gregg's waffle recipe, I had the chance to try different grains on my family using a very easy and quick recipe. My kids tolerated almost all of the variations, with one exception...buckwheat. My dogs enjoyed a healthy breakfast that morning! The Delicious Whole Grain Dough recipe was indeed, delicious. It can be used for rolls, pizza crust, and a variety of breads. The cornbread recipe became another favorite. My family likes very sweet cornbread, more like corn cake! However, even with only 3T of honey, this was a hit with my whole family. I loved how easy it was with the blender. Some of the recipes may take getting used to if your family is accustomed to sugary baking. One item that did not work out well for my family was the Blender Banana Muffin recipe, simply because it wasn't as sweet as some of the other quick breads and muffins I make. I imagine taste buds would adjust with continued decreased sugar intake, which is definitely something we should work on. The last thing I wanted to mention was having the proper equipment. Please take note of the blender recommendations and read the recipe directions carefully. I took a chance with a 15-year-old low-quality blender that ended in a quick death after I decided to double a recipe. Definitely keep to one batch the first time around. The batters tend to thicken overnight and you need to take care to add more liquid when blending the second time. A careful eye and some patience will save your blender; my $25 replacement is holding up just fine. I just love this blender method, especially for those wanting to try whole grains out. Grain mills are a very expensive purchase, but almost everyone has a blender or can afford the low investment to get one. Overall, I really enjoyed these cookbooks and I am looking forward to trying out more recipes and techniques found in them. They are a bit more than I would typically pay for a cookbook, but really are more information-driven than just a collection of recipes. In the large scope of things, $23 isn't much more than, say, taking your family out for dinner at the local fast food restaurant. Yet, I suspect it may have a vastly different result on the health of your family! If you are a beginner to healthy cooking, I would recommend starting with An Introduction to Whole Grain Baking. For more cookbook options, the basic set of 8 Sue Gregg cookbooks is listed on the Sue Gregg website. The website is also contains ten introduction recipes, background information on both the author and cooking method. Disclaimer: This review was provided as a result in my participation in The Old Schoolhouse Magazine Crew. I was provided the product free of charge in exchange for my honest review. I strive to give a balanced overview of each product, detailing my opinion of both pros and cons and how the product worked for my family. What works for one family may not work for another. I encourage you to read reviews of other Crew members and research sufficiently to determine if any product will be a benefit to your homeschool. I had never heard of Lesson Planet before I received a 3-month subscription to give it a test drive for review. The simple description of Lesson Planet is it is a search engine for teachers and parents. The website has over 225,000 lesson plans and worksheets to browse, categorized in a number of ways. The video clip below will give an idea of how one would search for particular topics on the website. The benefit to using Lesson Planet over Google is the resulting search items are "teacher approved" and rated. There are also teacher support features, such as Subject Guide Teachers, including a Homeschooling Guide. For those who like to plan certain activities and lessons based on special holidays and events, there is a special feature just for you: the Curriculum Calender. The Curriculum Calendar lists as special event for every day and includes links to related searches on the website. For example, today's event is "First volume of Isaac Newton's "Principia" is published in 1686" and included searches are: Isaac Newton, Universal Gravitation, and Laws of Motion. In general, Lesson Planet is designed to make a teacher's life a bit easier. So, how did it work for me? Let me preface my answer with the fact that I don't exactly use general lesson plans. And, well, I don't often use worksheets outside of our normal curriculum either. I'm also pretty proficient with using Google when I do need something like a worksheet. That said, I did try to give Lesson Planet a whirl. I found that sometimes the search engine was a bit finicky. For example, I searched for "guitar" because my son has been asking to learn how to play. I didn't expect to find many "guitar" worksheets, but was curious if something on chords would come up. My search came up with 115 results, but many were worksheets that just contained the word "guitar" rather than actually being about the guitar. Granted, there were a few guitar-related results, but there was also worksheets on usage of the telephone directory, the scientific method, and math story problems. I tried to search for some items that were a bit more "schooly", but had similar results. The search 'SAT essay' came up with many results, but most weren't specific to the SAT. I then put the search word in quotes and only came up with zero worksheets and two lesson plans, though one had nothing to do with the SAT exam. Next, I tried "Diary of Anne Frank" with a specification of worksheets with a 3 star rating or more. I had six results, with one dead link. Requesting any star rating turned up 7 results, but the extra result wasn't directly related. A note on the dead links. I found a handful of dead links in my searches, which I suspect would be hard to avoid with the ever-changing world of the internet. The website, however, does allow you to report them. Given my homeschooling style, this isn't a very useful tool for me. Though it sounds like I didn't come up with much, each result was indeed education related. I can see if I were teaching a class and needed to quickly find a worksheet or lesson plan on a subject for my class, this might work well. A person who has trouble finding what they need from Google may like the ability to search just educational sites. I think most schoolroom teachers would appreciate it as a time saver. Most of the resulting sites are geared toward a classroom. I did find some useful things with each search, though often things I wouldn't personally wouldn't use. The website functions exactly as it promises; it just doesn't fit in very well with our homeschool. The good news is that Lesson Planet offers a free 10-day trial at no obligation for you to find out how it might work in your homeschool. If it is a fit and you'd like to continue, membership costs $39.95 a year. Visit Lesson Planet for more details or to start your trial. A recent review product, an AP study product, has sparked quite a bit of discussion among the TOS Crew regarding AP classes and exams. Unfortunately, many homeschoolers aren't really sure what AP is all about nor how it might benefit their homeschool. First let me say, I knew nothing about AP courses a few years ago. My high school experience did not include AP exams. My school hardly offered honors courses, let alone AP courses. Over the last couple of years, however, I've made a point to give myself an education in preparation for homeschooling a high school student. AP stands for Advanced Placement. There are AP courses and AP exams. Typically, AP courses are taken at high schools, but there are online options available for homeschoolers. The AP class is a preparation course for the AP exam. It is to cover specific material the student will see on the May test, administered by the College Board. Visit the College Board website for a detailed explanation straight from the source. What does taking the AP exam do for your student? AP exams can earn college credit or advanced placement. Over 90% of 4-year colleges offer some AP credit or will allow incoming students to be placed in higher level courses based on exam scores. This could save a lot of money in tuition and allow the student more time to pursue a double major or take more upper level classes of interest. How is AP different from CLEP? AP is more difficult and more widely recognized than CLEP. Some colleges accept CLEP courses, but not all. Most colleges will be much more impressed with AP exams than CLEP exams. Depending on what college your student wants to attend, CLEP may serve a purpose. Our state college, for example, accepts CLEP. More competitive schools are going to want to see AP exams. 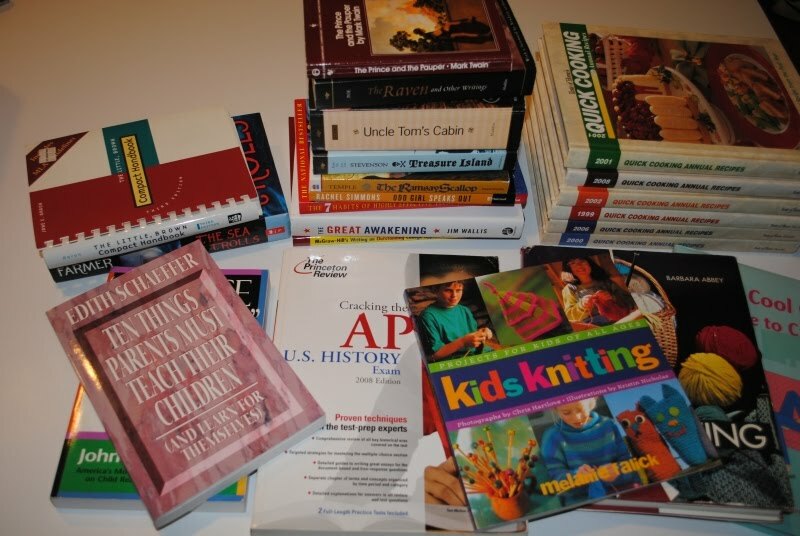 Why should homeschoolers take AP courses? One of the advantages to taking the courses is, of course, to do better on the exam. It also gives the student a competitive transcript because AP courses are considered to be difficult classes. Taking AP courses shows colleges that your student pursued the most rigorous courses available. It helps your student stand out among many applicants. Do you have to take the course to take the exam? No! Students can take the exam without an official class. They will need to study at home and cover the material thoroughly. There is nothing wrong with this method. For some exams, certain texts are recommended as preparation to make sure the material is covered. For example, for AP Biology, many people will use a text by Reece and Campbell. You can't call your self-study course AP on the transcript, though, because all AP courses need to be approved by the College Board to be official. Can homeschoolers take AP courses at the local high school? Sometimes. It depends on the state. Here in Michigan, homeschoolers are allowed to participate in non-essential classes. Usually this includes courses such as art, computers, and band. However, AP courses are considered non-essential and elective courses, making homeschoolers eligible to take them at the local school. A word of caution - be sure to check out the rigor of the AP courses at your local school. Quality does vary. You want your student to be prepared for the exam at the end of the class and sadly, not all courses do a good job of this. I used the website Great Schools to check out our local high school. After reading the reviews, I decided to opt for something else. What other options are there for AP courses other than the local school? There are many online options. The one I've heard the most often is Pennsylvania Homeschoolers. PA Homeschoolers offers nearly 20 College Board-approved AP courses for homeschoolers (and only homeschoolers). *This is neither an endorsed nor an inclusive list. Be aware that AP test scores stay on the student's permanent record with the College Board. You do not want your student taking an AP exam unless you are certain they will do well on it. Otherwise, it could look poorly on a college application. In general, however, pursing AP courses and exams can be very beneficial if you have a student ready for the rigor and interested in getting a head start on college. It is no mystery that kids love learning through games. It sure is more exciting than worksheets and textbooks. However, learning games can be expensive, especially if they are only going to be used a short time. Many parents have opted to make their own games, but that can be time-consuming. There is now a solution for busy homeschooling moms and game-loving kids..Super Star Games. All of the games are designed by Deborah Lott, who has also authored the at-home speech program Super Star Speech. Eleven games are available as an instant download and cover a broad range of subject areas for levels K-8th. A full list of available games with descriptions can be viewed here. Of all the games available, Silly Snail, covering the parts of speech, fit in best with what we are currently studying. At first I thought my 5th grader might not appreciate the simple game board, which is a snail with the shell partitioned off in sections. However, the idea of playing a game instead of working out of a workbook definitely appealed to him and resulted in more cooperation than I typically have when covering parts of speech, a struggling area. The instructions were straight forward, and there was no need to spend a great deal figuring out how to play. For Silly Snail, each player draws a sentence card and needs to identify the bold word's part of speech. If correct, the player gets to advance to the next space labeled with the correct part of speech. If incorrect, he simply doesn't advance. The first player to make it to the end of the game board wins. Each game has easy to understand, but varying, goals for winning. Road to Revolution, Exploring Egypt, and Climb the Vine require players to answer a question correctly to advance on the board, with the one finishing first winning. The Inventors Game and Explorers of the World are a version of concentration or matching, each covering 24 pairs on the topic. Both of these games also have an alternative timeline version. The Insect Game, All About Animals, and Planets, Moon, and Stars have players collecting insect parts, animal groups and planets respectively each time they answer a question on the game card correctly. Lastly, Colony Quest and Covering the Continents have players racing to "settle" areas using their knowledge of the topic. Suggestions on modifying the game to suit older and younger players are also included. As far as convenience, these games really can't be beat. Having a rough spot in your homeschool and want to inject some fun ways of learning...right now? A few clicks and use of a printer and you are up to speed. If it is a game you suspect you'll use only for a short time for reinforcement of the subject, regular paper will do. Card stock and laminated paper will withstand more long-lasting use. With the game file available on your computer, new copies can be printed anytime. For the $3.50 price tag, it is well worth having instant access and not having to create a game on my own. While I didn't review Super Star Speech, also authored by Deborah Lott, I did want to mention this product. My youngest went through quite a bit of expensive speech therapy. When I first noticed his speech issues, I turned to the internet for activities I could do with him at home. However, my searches came up empty. Private speech therapy can be very costly and we've paid up to $100 an hour for specialists. I am thrilled to see an affordable speech program directed toward parents become available on the market, especially one written by a homeschooling mom who is a licensed speech language pathologist. It may not be a complete substitute for private therapy (for example, stuttering issues are not addressed in this program), but the cost of the materials are less than one private therapy session. Be sure to read the reviews of some of the TOS Crew members who did receive this product if you have a child with speech articulation issues. Super Star Games for homeschool enrichment are available at CurrClick for $3.50 each or as low as $2 each when multiple games are purchased in a bundle. You may also be interested in checking out the Super Star Speech blog, which has some very useful information on addressing speech issues at home. Disclaimer: This review was provided as a result in my participation in The Old Schoolhouse Magazine Crew. I was provided the product free of charge in exchange for my honest review. I strive to give a balanced overview of each product, detailing my opinion of both pros and cons and how the product worked for my family. What works for one family may not work for another. I encourage you to read reviews of other Crew members and research sufficiently to determine if any product will be a benefit to your homeschool. I am an All About Spelling affiliate and truly believe in the product, but desire most that you find a product that fits for your family. A library sale to dream about! Our local library was having their semi-annual book sale today. Last night, as I was thinking through what needed to be done today, I decided I would skip the library sale. In reality, I don't need a single additional book and instead need to purge my shelves. At least, that was my thought when I drifted off to sleep. It is funny how the mind works. 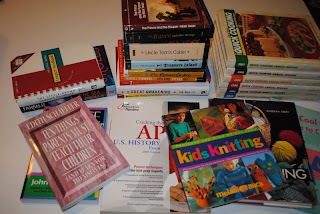 I had a dream that I did go to the library book sale...and that I found a whole box of homeschooling materials! The funny thing is, some of it was curriculum we don't even use and have no intentions of using. My dream state thought? Oh! I can just review these items and move them along! When I woke up today, I decided that maybe I should go to the book sale. You never know what you'll miss by not going. I didn't exactly find a box of homeschooling curriculum, but I did find plenty of educational items to use in our homeschool. One of my best finds was The Princeton Review guide for the AP US History exam, which my daughter plans to take next year. I also picked up some classics (Twain, Poe, Stowe), The Little, Brown Compact Handbook, and a McGraw-Hill book on writing college essays. I was excited to find a book by John Rosemond, a speaker I listened to at the Midwest Homeschool Convention. Now, let me say that I wasn't completely on board with his talk, but he did have some good points. I had intended to check out one of his books from the library, rather than purchase. But for $1, I was willing to take a chance. For fun, I found some knitting and crochet books - three to be exact! Oh, and the Dilbert book was to offset some of the deeper reads. I also found a half dozen Quick Cooking annual cookbooks. I often just jump on the internet when looking for recipes, but I like browsing cookbooks on occasion and I've liked these cookbooks in the past. Probably the highlight was one of my kids' finds. 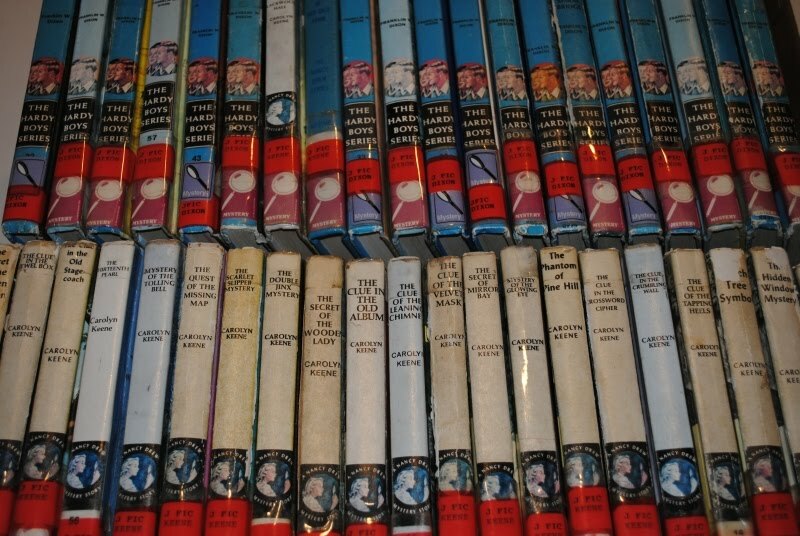 The library was getting rid of their Nancy Drew and Hardy Boys books. They were shoved under a table with a sign that said "50 cents each, or sell as a set". My kids decided to ask what the price was for the whole set. They came running over to me, all excited, at the offer made by the little old ladies running the sale. $5 for all 41 books in the box! I wasn't sure who was more excited, my kids or the little old ladies. They thought it was so neat that these kids were spending their money on a set of old, wholesome books. In fact, my daughter was a bit embarrassed at what a ruckus was made. After they left to take their box of books to the van, the ladies then came over to me and continued to praise the kids up. I spent just over $20, not including the $5 my kids spent. So, I guess is was worth going, even though I didn't land that box of homeschooling curricula and there was only one book that I we actually needed and would have ended up purchasing new. Now the only thing I need is more shelf space! All About Spelling 20% off!!! All About Spelling released three new products today and are offering 20% off through April 26th. Whenever new levels come out, I always buy them at the discounted price even if we haven't reached that level yet. That way I save a few dollars and have them available exactly when I need them. If you have questions about All About Spelling products, please feel free to ask or browse my product reviews here for more information. You can also get questions answered at the Chatter Bee. When I first started using the All About Spelling program, I was ecstatic with how it addressed a specific need in my household. My son needed serious spelling work. At the time, we were using a spelling and reading program based on the Orton-Gillingham method and designed specifically for dyslexics. It was effective, but there was one problem. Much of the program addressed reading issues and my son did not have reading issues. In fact, he was reading above grade level. The discrepancy between reading and spelling was nearly seven grade levels. The reading component was not easily separated, however, and we trudged through it to get to the valuable spelling training my son needed. When I discovered that All About Spelling was just as effective at improving his spelling, at a fraction of the cost and time investment, I was thrilled. It was a perfect fit and I recommended it to many trying to address spelling issues. I always thought it would be great to have a separate reading component to use with All About Spelling to make it a complete program for those that were just learning or struggled with both reading and spelling. I must not have been the only one to think so; a brand new All About Reading program will be available late this year. The program, which can be used as a stand-alone or with All About Spelling, has readers to correlate with each level. Earlier this year, I reviewed the first reader released, the Beehive Reader 1, now titled Cobweb the Cat. For this review, I was sent the next in the series of readers, What Am I? 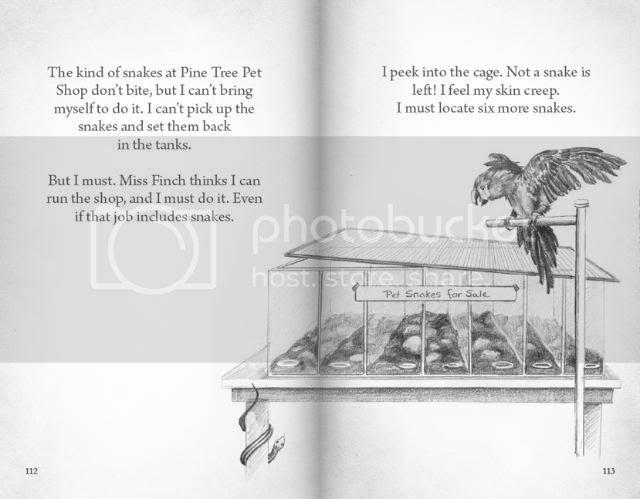 which has 10 short stories that coordinate with Level 2, Stops 1-14, of All About Spelling. What Am I? is just as delightful as the previously reviewed Beehive Reader 1 and of a similar style. It is hardcover and holds like a "real" book, not a flimsy reader. The pencil illustrations are appealing to all ages, with plenty of detail. While both books have the same illustrator and I loved them in the first reader, I actually like the drawings better in What Am I? The backgrounds are not as shaded and the pattern pages have been removed, giving an improved look. Also different from the first is the absence of the dotted lines under the words, likely not needed as much as a child progresses through the readers. And, of course, the stories are longer and use more difficult words. With story titles like, "An Elf in the Alps" and "Skunk Hotel", these aren't your typical limited early readers about cats named Pat! Two readers per level are planned for the future. I'm excited to see how the new All About Reading program and future readers. If you have an early reader in your home, it is definitely a program to explore. 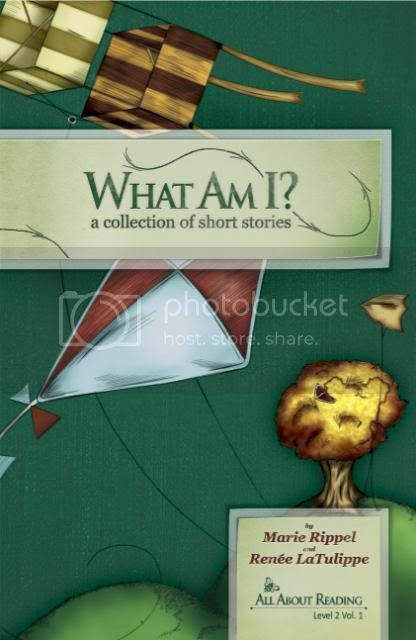 What Am I?, available for $19.95* can be found at the All About Reading website. *What Am I? is now 20% off, through April 26th. 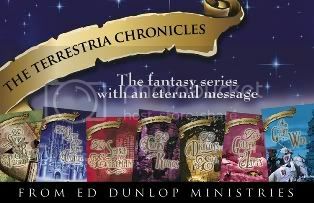 Ed Dunlop, Christian author, definitely has a heart for children and the Lord. Since 1988, Ed and his family have traveled in full-time evangelism offering summer camps and programs to kids, teens, and adults. The Terrestria Chronicles allegory series was written with a three-fold purpose: to honor Jesus Christ as King, to challenge young readers to love and serve Him, and to teach them to guard their hearts for Him. The focus of the series is always on the King. I received books 6 and 7 of the series, The Golden Lamps and The Great War. In The Golden Lamps, the reader follows the small village of Hazah as they build a castle for protection after an attack by Argamor's dark knights. After a petition to King Emmanual, help is sent to the village to construct the castle. All starts out well, until a villager finds a golden lamp at the building site that has powers to bring about prosperity to the owner. Soon more lamps are found by villagers, turning the focus on finding more lamps instead of setting about the King's business of building a castle. Will the village return their focus to what is right? Theme: The King's business must always be priority. The Great War follows Prince Josiah, Princess Gilda, and the Castle of Faith in the battle of all time. Argamor and his dark forces are determined to take over Terrestria at all costs. Follow along with the struggles of the prince and princess as they discover that almighty power of King Emmanuel and the future of his kingdom in the Golden City. Theme: The Great War gives an overview of the Book of Revelation and the power of our Lord. Prayer is also a central theme. This series is meant to be read in order, and I did not have the benefit of being able to read from the beginning. 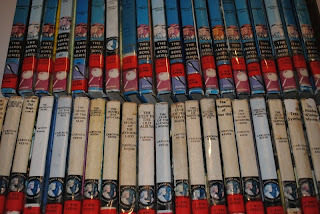 While the books are not fully stand-alone and they would be enjoyed more being read in order, I didn't find them so interconnected that I couldn't follow along. Of the two books I read, each has a particular focus or theme woven into the allegory. Book 6, The Golden Lamps, teaches that worldly things are not everlasting and it is best to go about God's business instead. The Great War, Book 7, not only tells of the Book of Revelation, but encourages the reader in the power of prayer, or petitions in the book. While I like the idea behind these books, I didn't really enjoy them as much as I hoped. Initially, it took me a while to get used to the writing style and get into the story. The allegory is quite obvious and the author makes sure it doesn't slip by the reader with names like King Emmanual, the Castle of Hope, the Castle of Bitterness and The Golden City. For children, this might be preferable. In fact, to attest to this, my son, whom we call Mr. Literal for his lack of ability to read into things, was able to tell me the message and representation of The Golden Lamps. However, adults and older children may not appreciate being lead down the path so obviously. The look of The Golden Lamps did appeal to my son enough that he asked to read it when he saw it and he finished it rather quickly. One area in particular that bothered me, at least in the two books I reviewed, is that the female characters seem to be a bit weak in their faith. One of the symbols in the stories are that the men carry around books (Bibles) that turn into swords of protection. They also take parchment out of the books in order to write a petition (prayer) to King Emmanuel in time of need or for praise. The problem is, the women aren't carrying swords and it wasn't until the very end of the second book I received that one of the female characters even sent a petition. In addition, I wasn't exactly sure how this was accomplished without her own parchment and the story didn't really explain. While there was a focus on petitions/prayers in The Great War, it was Prince Josiah and other male characters sending petitions, not Princess Gilda, even when their child was deathly ill. Perhaps some stronger female characters are in the earlier books, but I was a bit disappointed in the lack of faith-filled women in Books 6 and 7, especially since I have a 13-year-old daughter. I do like that each book has a particular theme of the Christian walk and how to carry out your faith. You can read a bit more about each book and the related theme at the website. There is also a study guide for the complete series, to get even more out of the books' teaching, available for a very reasonable price. To get an idea of what the study guide covers, you can download the answer key for free: Visits to Terrestia Study Guide Answer Key. Perhaps my expectations were too high because I have heard many good things about this series before receiving them to review. The fact that I have heard good things means they are indeed a fit for other families and I encourage you to read the reviews of other TOS Crew members. Each book of The Terrestria Chronicles series is available for $7.99 or the complete series can be purchased at a discounted $39.99. They can be purchased at the Ed Dunlop Ministries, Christian book suppliers, or other online book retailers. I encourage you to visit the website as there are many FREE resources available, including Jed Cartwright Adventure Series E-Books and two titles from the Sherlock Jones Detective Series. You will also find the companion series, Tales of Terrestria. I sometimes don't post much when our life slows down and there isn't much to report, but my absence has been because of the opposite this time! I have much to report, but no time to share! The last two weeks have brought on sickness (preventing me from Fit Mommy participation), new karate belts, travel of two family members (and not without adventures), a death in the family, and preparation for a big theater performance. We are finally getting back to normal, whatever that may be. I will try to share some of the highlights of the last couple weeks over the next few days. A couple of reviews for the TOS Crew will be posted soon as well! April is always a busy time of the year for our family. What about you? Is your April just as crazy as mine? Can't make it to your spring convention, but need some renewal and homeschooling revitalization? Or maybe you are about to head to your local homeschooling convention and want to check out a speaker ahead of time, rather than get stuck in a workshop that isn't your style. Homeschooling.com offers a variety of homeschooling podcasts, free-of-charge! Enjoy! I've always been a fairly frugal person, whether necessary or not. When my kids were little, the majority of their wardrobe consisted of garage sale finds. I just didn't see the point of spending a ton of money on clothing they'd outgrow in months. They certainly didn't care and it allowed us to spend that money saved on something else. After about age 6 or 7, though, garage sale finds weren't all that easy. 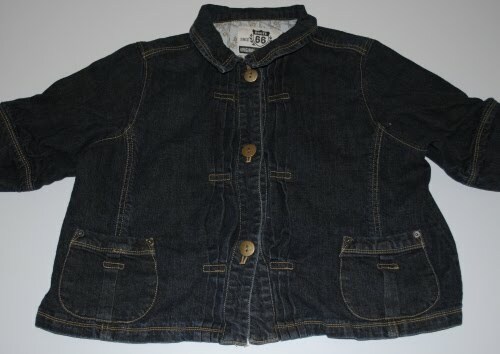 Boys clothes tended to be destroyed and scarce. Older girls are pickier about what they wear, limiting options. At that point, I turned to store sales and the local Salvation Army. While it does take more effort than walking into the latest department store, quality and fashionable clothing can be found at the Salvation Army. I think some of the items are overpriced (especially if you are used to garage sale prices), but the flip side is that the very expensive brands are priced the same as everything else and deals are to be found. With the current economy, I'm finding frugality is a necessity right now. 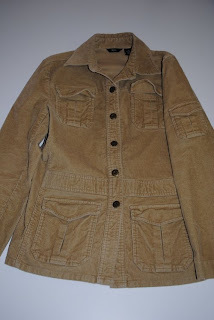 Whenever our family is in need of a particular item, I first check the Salvation Army before hitting a department store. Much to my delight, I recently discovered that you can download COUPONS for Salvation Army. I had never thought of visiting the Salvation Army website in search of coupons! This month, our area stores were offering 50% off all clothing during a set time and day with a coupon. With coupon in hand, we headed out to shop. I had a specific item in mind that was needed for a costume, but took some time to browse the racks for other items. 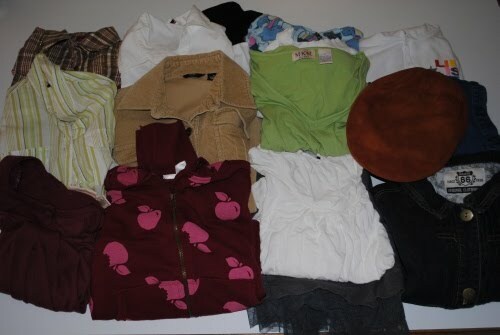 In the end, we walked out with a huge bag of clothing for less than $50. I spent just over $2 per item on average. Our finds included expensive brands and items that looked new. My daughter is not the type that likes to look like a clone of every other 13-year-old. 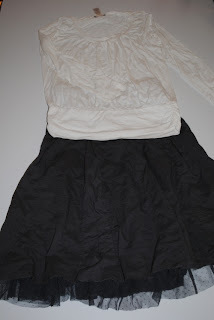 She has her own style and put together some cute outfits with her finds. In fact, she suggested having a party where each participant is given $10 to spend at the Salvation Army to create a unique outfit. The next day we went to Kohl's, with a 30% off coupon (and Christmas gift cards). We spent about three times as much for fewer items. And it wasn't nearly as much fun. Check with your local Salvation Army and see if they ever issue coupons. Even if they don't, most stores will offer discount days where certain items have a percentage off. Being frugal doesn't have to be a burden. Have fun with it and happy shopping!